Guacamole is one of those things that tastes far better than it looks. To someone who isn't a huge fan of avocados, guacamole's texture can appear slimy, and on top of that, its chunky green appearance brings up visions of Nickelodeon-style slime. What's even worse is the browning that occurs in just a few minutes of being exposed to air, and it's even worse if there's salt in it. I love guacamole, but that brown is enough to turn off even the most enthusiastic connoisseur. Few things are more disappointing than watching your creation go from delectable to disgusting right before your very eyes. Even if you're just at Chipotle's and order a side of guac (theirs has salt in it), who wants to eat browned food? 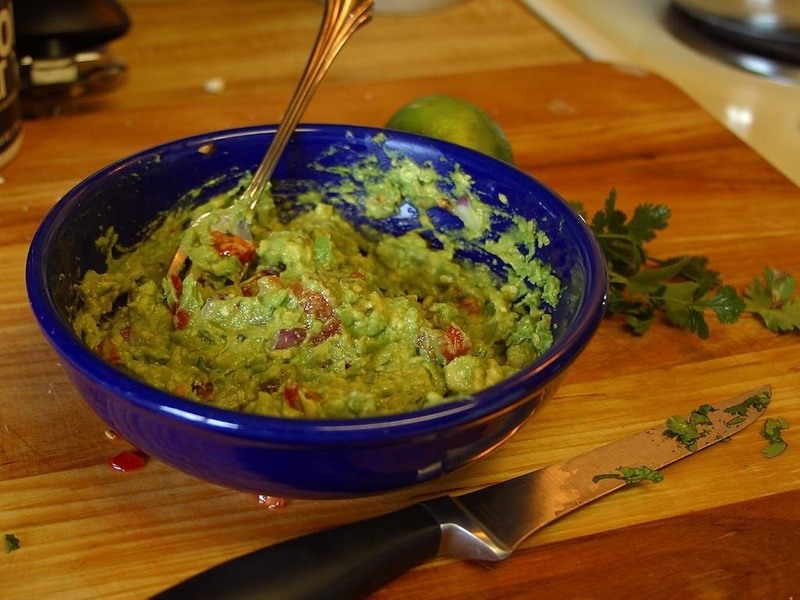 There are many purported solutions, such as adding more lime juice or storing guac with the pit of the avocado. Sometimes these solutions do help reduce or slow the browning, but they usually don't prevent it altogether. 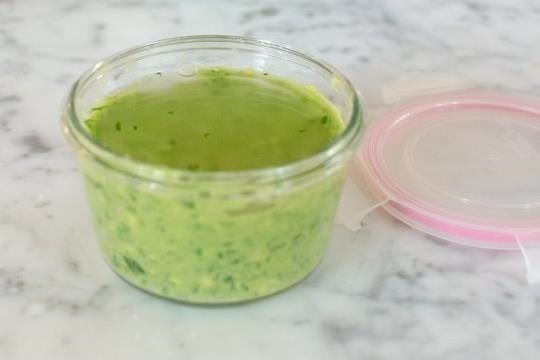 But finally, Faith Durand, the executive editor of The Kitchn, has figured out the best way to keep guacamole fresh and green, and it's the simplest one yet—just add a little water. 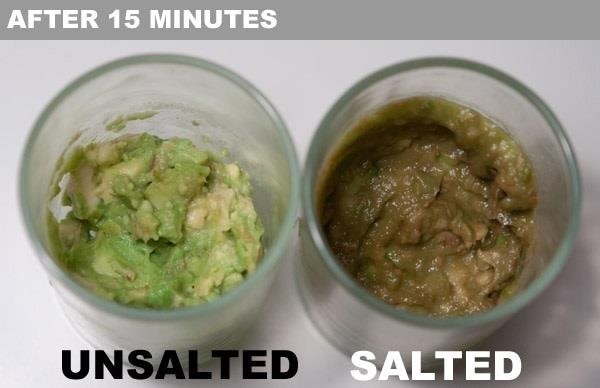 Topping your guac with about a half-inch of water before it goes in the fridge creates a perfect barrier that keeps out oxygen, which is the culprit for the color change. The water won't soak in, so when you're ready to eat your guacamole, just pour it off and give it a good stir. It'll look and taste just like it did when you made (or bought) it. You can find more details in Faith's post, and be sure to check out some of our other articles for more tips on browning prevention and keeping food fresh. How about cooking oil like olive oil, grape seed oil, because oil as well can be acting prevention of oxidation from air. Even Coconut oil, which would enhance the flavor, I believe. I add a small amount of lime juice with my other ingredients. I put the guacamole in a glass container and place plastic wrap that is pushed down on top to completely block out any air then place a lid on top which I burp. It will not turn dark. This summer I learned that adding zucchini keeps it from browning. Now I make it thicker and call it salad! This is great to hear as soo many folks and restaurants use the lime juice trick, which to me completely changes the original flavor of pure guacamole, which is avocado, sea salt, white and black pepper. Tomatoes and onions and lime juice came from restaurants. American restaurants. I would usually make "Papa's guac" as a quick appetizer if dinner was late, or the ribs needed more time. It never had time to brown, LOL.